Most commonly asked design questions. When is the best time to call a designer in? Usually, before starting any project. A designer will coordinate the master plan so that the project is seamless. Is it expensive to work with an Interior Designer? An interior designer can save you money. They have the knowledge and resources to finish the project efficiently . Many costly mistakes are avoided by hiring a designer. Where do I start in the decorating process? Decide what is the most pressing project at the time. Prioritize the most important area to be transformed and work on one room at a time. How will I know which color is best for MY home? Artwork is a good starting point as is a favorite color, an area rug, or look at the colors in your closet! Choose colors that make you feel good and want to be in that space. Will the designer ask me to buy everything new and start over? Quite the opposite – a knowledgeable designer will work with what you already own and display it to its best advantage. Recommendations for additional pieces or accessories can be added at a later time. Do you work with subcontractors or do I need to find my own? Yes, I have many different types of subcontractors that I work with on a regular basis and can highly recommend. 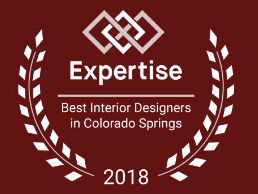 Whether you’re looking for custom window treatments, to re-upholstering, carpet installation, wallpaper installation or custom built-ins, I have the right person for you. I am more than happy to work with your builder, general contractor or any other contractor you would like to work with. What size project does Lifestyle Designs by D'Alessio Interiors accept? Can I start with one room? I can help you with any type or size of project. Whether you need to decorate your first home, redesign your second home or just want to makeover one room, I can help you conceptualize , visualize and realize your dream. My initial consultation is FREE. As the decorator and design expert, I like to speak with all potential clients. Once we meet and I have an idea of the scope of the job, I can determine how the project will progress. The consultation takes place in your home so I can see exactly what needs to be accomplished. What is green design? What does that mean and do you offer that service? Yes! I have many products options that are “green”. Many furniture, fabric, lighting and wallpaper companies have made a big effort to have these options available to our clients today. Visual coordination is basically a process that rearranges what a homeowner already has to give people that “just-wanting-to-be-in-a-room” feeling. For some, visual coordination gives a new way of looking at their own possessions. Christine D’Alessio says most people collect things over time and just add the items wherever there’s room for then to fit. By taking everything out of a room and starting from scratch, art and collectibles can be rearranged in a way that makes more sense and adds more interest. Using architectural focal points in a room, you can reveal the beauty that is currently hiding in your home. You will see your home in a whole new light when you see your furnishings and accessories as a whole and how to view each piece individually for its shape. Why should I hire Lifestyle Designs by D'Alessio Interiors? For more than 33 years I have assisted Southern Colorado residents in creating the home of their dreams. My resources and time tested techniques assures every client that the end product achieves their desired look and feel, and meets their expectations.